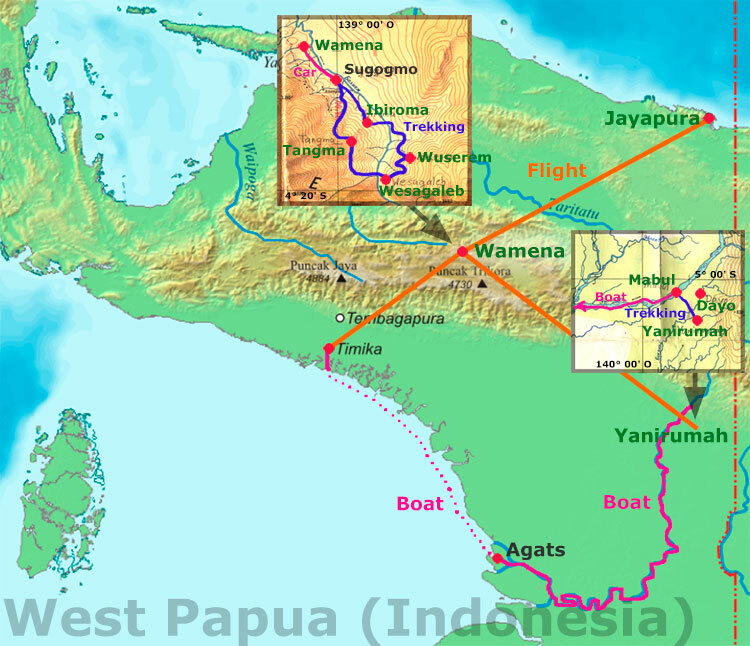 Irian Jaya (West Papua New Guinea) is the Indonesian part of the island New Guinea. Irian Jaya belongs to Indonesia since 1963. Today, there is a fight for independence with little likelihood of success. 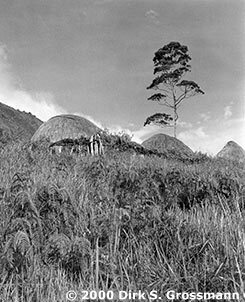 While the main cities like Jayapura (the province capital), Wamena and Timika are dominated by Indonesians, in the distant areas the native inhabitants live relatively undisturbed. 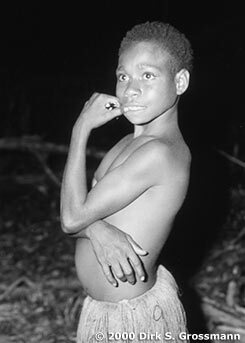 At our visit in the village Suroba near Wamena, we were assimilated as family members into the Dhani tribe. Our tour to West Papua New Guinea in March 2000 has been organized and executed by Jalan-Jalan Travel, Magdeburg, Germany.